The Mevorian Empire, by virtue of its military strength has grown to a vast and wide spread hegemony that dominates it´s region of the galaxy. This is a true star empire consisting of thousands of worlds and civilisations. The Mevorian Empire is ruled by one bloodline, the Mevorian royal family, once descendants to the noble bloodlines of the holy mother planet, Earth. When the second expansion of the Mevorian Empire reached the unmapped star sea of the Ortech nebula and the boarders of the sovereign Pewulian Empire, the conflict was unavoidable. The Pewulians, guardians of the great star wheels, the star gates of the Ancients, since the beginning of the time, would not let the Mevorians pass or take control of the star travel entrances, the loopholes to other parts of the huge Red Haven galaxy cluster. For millennia’s the Pewulians had been unchalanged but they underestimated the power hunger and the schemes of the humans. The Mevorians was not to be stoped by anone or anything. 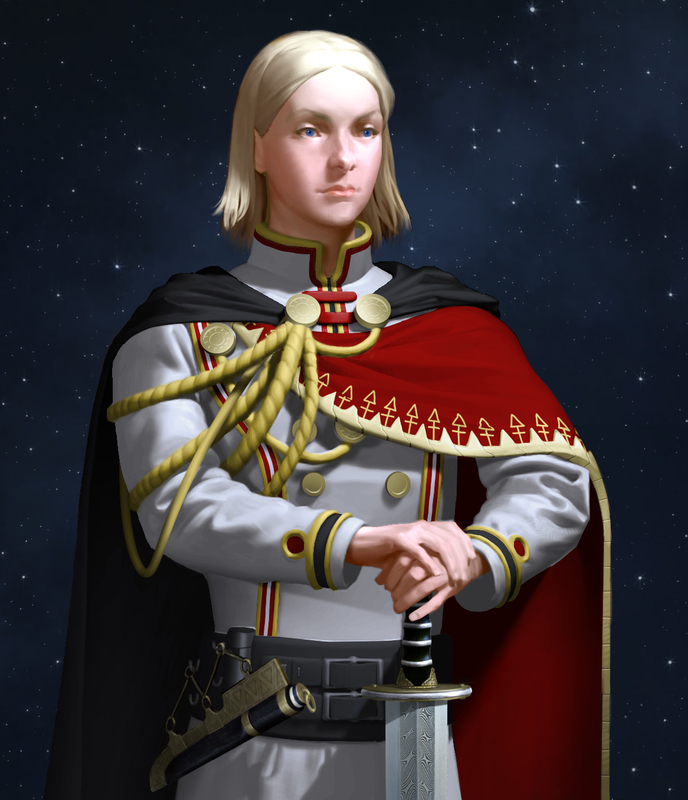 Mevorian princess Yedda Fayre, in the Mevorian Field Uniform. 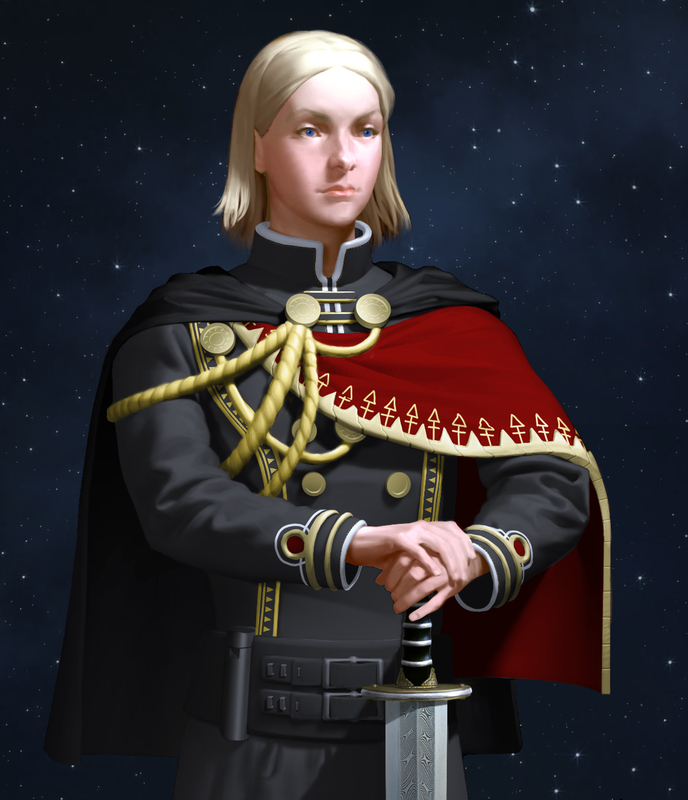 Mevorian princess Yedda Fayre, in the Mevorian court uniform wearing the Mevorian Imperial Knife only worn by members of the Imperial bloodline.